You might remember back in September when I was at Milan fashion week that I was swooning over Moncler’s sporty sandals. This is a MASSIVE trend for the coming summer (Marni, Roksanda and Burberry were amongst the other brands showing them on the catwalk – read about that here) and one I’ll be grabbing with both hands. I mean, both feet. Anyway, the Moncler ones aren’t going to be cheap, so I’m glad that it looks like the high street will be catching on to this trend. 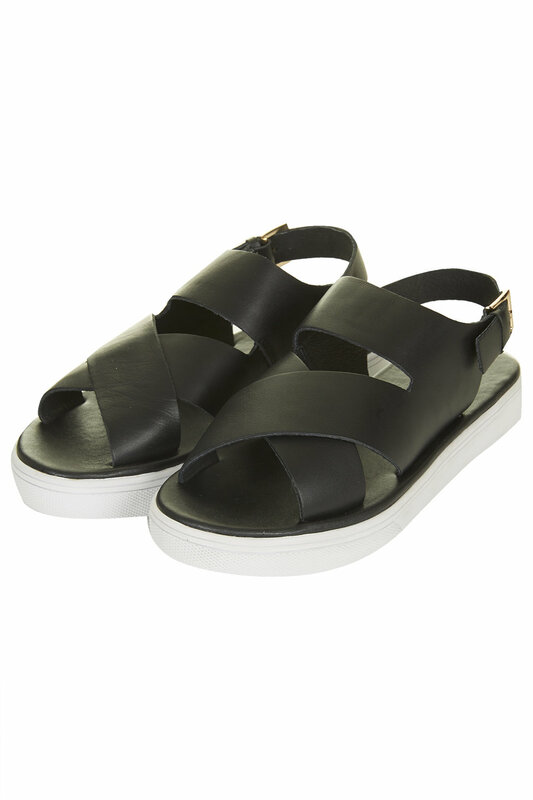 With Christmas not even a distant memory, you can already pick up a pair of Fondant strap sandals from Toppers, and they’re less than sixty quid. Bargain! 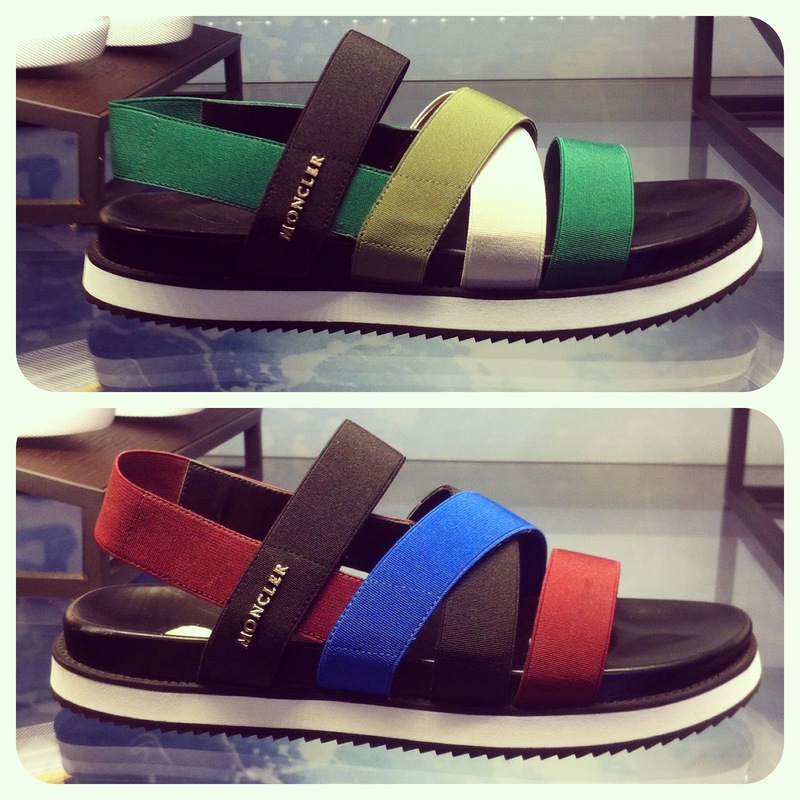 My favourites are the multi-coloured ones, as they mimic best the design of the Moncler sandals. 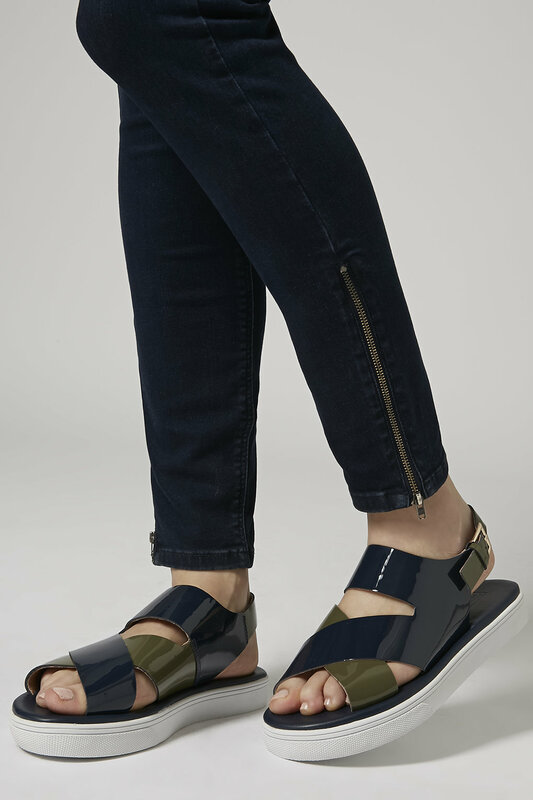 It’s a shame the straps aren’t elastic (I mean, IMAGINE how comfortable) but they do give a pretty similar effect, even with that shiny finish. And for the less flamboyant amongst you, they’re available in plain black, too. I’m looking forward to seeing what offerings the rest of the high street comes up with, so watch this space!